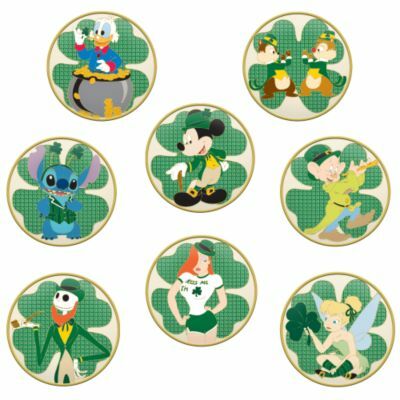 Jessica Rabbit is celebrating St. Patrick's Day in this Mystery Series pin set. 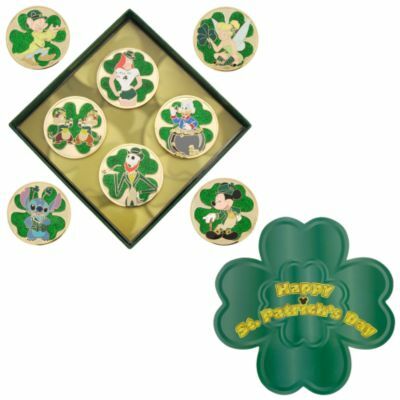 Jessica is set against a round, gold background with a green glitter filled shamrock. Jessica is in short green shorts, hat, and a t-shirt that reads "Kiss Me I'm .." and a shamrock in place of the word "Irish." The set was a Limited Edition of 1000 and you received a selection of four out of eight possible characters.